Starr describes herself as a Specialized Generalist having led a successful career as an executive vice-president/owner/managing partner in the marine hospitality, tourism, food and beverage and event management industries. She has a rich volunteer life and her board involvement spans decades, fulfilling numerous positions. Starr recently chaired Destination Greater Victoria's Transportation and Destination Management Committee and is currently Chair of the Board. She is also Board Secretary and Chair, Governance and Nominating Committee - Greater Victoria Harbour Authority. Starr is honoured to have been a recipient of the C-FAX Community Leader of the Year Award. Starr is a graduate of the ICD-Rotman, Directors Education Program (DEP) and has achieved the Institute of Corporate Directors, ICD.D. The ICD-Rotman DEP provides education on the elements of effective governance including strategic performance, financial performance, human performance and risk management. Starr chooses to consult on projects that contribute to the greater good for our communities. Her passion is speaking to groups about the leadership of one’s life, in partnership and as a contributing member to the societies we live in. Kimberley Hughes manages the gorgeous Delta Victoria Ocean Pointe Resort and Spa. Kimberley graduated from Queen's University in 1988 with a BA in Political Science. She moved to Victoria in 2008 from Whistler, BC. Kimberley is an active member of the tourism community and was one of the founding (and current) Board of Directors of the Victoria Hotel Destination Marketing Association, which is instrumental in generating significantly more marketing dollars for Destination Greater Victoria. Kimberley has been an active member on the Tourism Victoria/Destination Greater Victoria Marketing Committee since 2010. She held director positions on various boards including Treasurer, TIABC and Chair of Policy and Government Relations Victoria Chamber. Kimberley's business acumen and passion for customer service are the driving forces behind her successful career in tourism. Providing a desirable destination goes hand in hand with creating a sustainable community to live in. Darlene is the General Manager of The Bay Centre in downtown Victoria and has been employed in commercial property management for the past 25 years with Cadillac Fairview, Westcliff Property Management, 20Vic Management Inc. and most recently Cushwake Asset Services Inc.
Darlene is passionate about Greater Victoria, which she has proven by volunteering to create change. Since 2011, she has sat on numerous boards, including Tourism Victoria/Destination Greater Victoria, where she is currently a Vice-Chair and Chair of Governance, HR and Risk Committee and previous Chair of Finance. She is a member of the Greater Victoria Chamber of Commerce Governors. She also currently sits on the Mayor’s Task Force on Economic Development and Prosperity. She is the past Chair of the Greater Victoria Chamber of Commerce (2013); Greater Victoria Economic Development Agency (2009-2014); Downtown Victoria Business Association (2007-2009), where she served as a Board Member from 2005-2013. 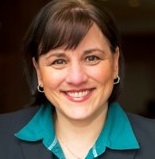 She is Past President of BOMA Victoria (2009/10) and board member since 2006. Currently, she is a member of the International Shopping Centre Association, British Columbia Shopping Centre Association and International Downtown Association. On the philanthropic side, she is currently Chair of the Steering Committee for the Victoria Hospitals Foundation – 2017 Visions Gala. She has sat on numerous committees including the Mayor’s Task Force on Breaking the Cycle of Mental Illness, Addictions and Homelessness and is a past Board Member of the Leadership Council for the Greater Victoria Commission to End Homelessness. Erika joined the Royal BC Museum in 2010, bringing extensive experience in marketing communications in both the private and public sectors. She attended Harvard Business School, is a communications and advertising accredited professional, and has a Liberal Arts Diploma. Erika was a member of University of Victoria's Congress of the Humanities 2013 Community Partnerships committee, and a member of the Tourism Victoria Sales and Marketing Committee (2011-2013). She also currently serves on the Boards of the BC Museum Association and Big Brothers Big Sisters of Victoria. As Head of Marketing and Development, Erika is responsible for the marketing communications team, media relations and corporate communications, publishing, consumer research and tourism/travel trade and other related activities. She also leads development and implementation of fundraising and sponsorship initiatives. Suzanne Gatrell has more than 30 years International hotel experience specializing in four and five-star hotels both in Europe and Canada. She is General Manager at the Oswego Hotel, where she has held that position for nine years. She is also President and CEO for Kingsbridge Management LTd., a hotel management company that she owns, operating independent luxury hotels in Canada and the UK. Her success is built on growing each hotel in her portfolio beyond service and standards expectations. Being of service in her community is a strong value for Suzanne and she has sat on various volunteer boards and currently is on a second term with the Board for Tourism Victoria/Destination Greater Victoria. A true advocate for women in leadership, and especially women leaders in tourism, Suzanne continues to support this in many ways of her day-to-day work. She has lived in Victoria for 24 years and is married with two sons. 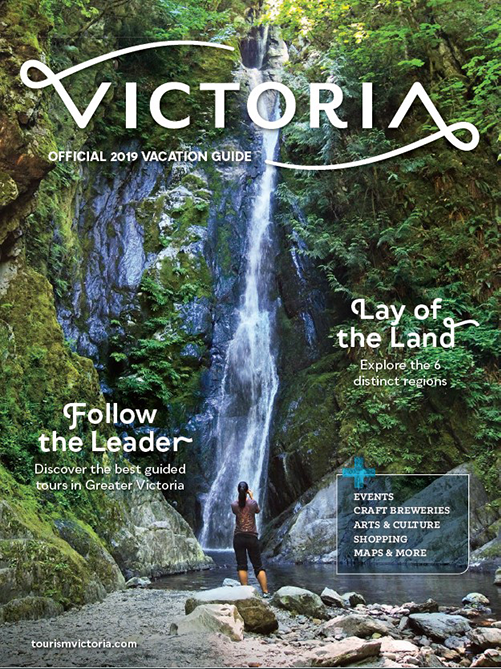 She knows the Victoria market well and believes being a business owner along with her knowledge, passion and extensive experience in tourism is a great partner with Destination Greater Victoria's Board of Directors. Raised in Victoria, and having lived most of his life here, Bill is very passionate about our beautiful city and the key role that tourism plays in our economy. Bill holds a Bachelor of Commerce degree and is a proud alumnus of Royal Roads University. He has also completed an MBA in Hospitality and Tourism Management from the University of Guelph. Professionally, Bill has 15 years in management roles in hotels and has been a General Manager of four hotels. He is currently General Manager of the Luxury Boutique Hotel, The Magnolia Hotel & Spa. With strengths in leadership, strategy and marketing Bill serves on the Destination Greater Victoria Board to provide insight and leadership with the goal to keep this key industry growing and vibrant for generations to come. Christine is a Partner with Chemistry Consulting Group and GT Hiring Solutions. She is a Certified Management Consultant (CMC) and a Registered Professional Recruiter (RPR). In the consulting field, Christine specializes in providing customized industry-specific recruitment, training and consulting services related to operational and human resources issues. Additionally, she leads the company’s foreign worker recruitment program and has travelled to the Philippines, Mexico and across Canada to recruit workers. As well as providing consulting services, Christine currently oversees a team of 130 employees located in 9 offices throughout B.C. who deliver employment programs in partnership with community service providers and on behalf of various levels of government (Work BC). Christine has managed employment and training programs for over 23 years. Prior to entering the consulting field Christine was a valued member of the tourism and hospitality industry for over 20 years and held senior management positions with Four Seasons Hotels, Hilton Hotels, Trusthouse Forte and Keg Restaurants as well as several independently owned and operated hotels and restaurants. Her work in the industry took her from Victoria to Toronto, the Caribbean and Hawaii. Active in the community, Christine currently services as Past Chair for the Tourism Industry Association of BC, is a Director on the board of the Greater Victoria Harbour Authority (HR Committee Chair), a director on the board of Destination Greater Victoria, Director on the board of Tourism HR Canada and is Vice Chair for ASPECT ( Association of Service Providers for Employability Training). In the past she has served as Chair of the Board of the Victoria Airport Authority, was a Director for the Canadian Airports Council and as a Director for the Victoria Police Board. Additionally, she has also served on the Canadian Tourism Human Resource Council, the BC Restaurant Association, Greater Victoria Economic Development Agency, go2 The Resource for People in Tourism, and the Downtown Victoria Business Association, and she is the Past Chair of Tourism Victoria. Geoff Dickson became President and Chief Executive Officer of the Victoria Airport Authority in 2011. As President and Chief Executive Officer, Geoff is responsible for the strategic planning, operations and financial performance of Victoria International Airport. During Geoff's tenure, Victoria International Airport won the prestigious Airports Council International Airport Service Quality award for best regional airport in North America in 2012 and 2014. Geoff has over twenty-five years of experience in the airline and marine transportation industries with a background in marketing, business development, operations, customer service and finance. Geoff began his career with Canadian Airlines where he ultimately led the international marketing team in the development and expansion of the Airline's global network. 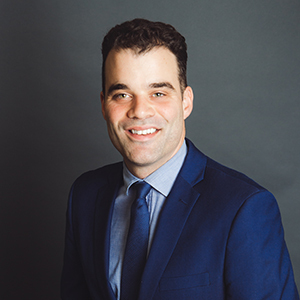 He returned home to Victoria where he joined BC Ferries as Vice President of Marketing and Business Development where he oversaw all aspects of their commercial operations. Geoff is a graduate of the University of British Columbia’s Sauder School of Business. Allison has worked in tourism for more than 25 years. Born and raised in Halifax, she holds a degree in Hotel Management from the Les Roches International School of Hotel Management in Switzerland and a Bachelor of Arts degree from Acadia University in Nova Scotia. Before moving to Victoria in 1997, Allison worked in luxury hotels in both Switzerland and France for several years, where she received hands-on training in all areas of the hotel industry. In Victoria, Allison has worked as Sales and Revenue Manager at the Delta Ocean Pointe Resort & Spa and the Harbour Towers Hotel. She was the Director of Marketing at Abigail's Hotel for several years before being promoted to General Manager in June 2015, when Abigail's changed ownership. Allison's passion for the tourism industry, dedication to first-class customer service, international experience and marketing and revenue management know-how have been key drivers in her success, seen most notably in the year-over-year growth of Abigail's Hotel and its continued achievement of being voted one of the top Best Small Hotels in Canada by Trip Advisor Traveler's Choice awards. As Chief Experience Officer and co-founder of WildPlay Element Parks, Tom is responsible for expanding this network across North America. A business generalist, Tom is an uncompromising values-based leader in his execution of strategic and tactical plans. His 35-year career has included mountain guiding, management and consulting in the private sector, implementation of business initiatives/strategies, sourcing and managing IT resources for complex system implementations, risk management in various business settings, and several successful start-up businesses in different industries, including the tourism hospitality sector. Brett has been involved in tourism and hospitality since 1993, beginning at the Accent Inns and then moving on to the Delta Ocean Point Resort for eight years. Most recently, Brett is involved in the industry as co-owner and operator of Eagle Wing Tours Ltd. Eagle Win operates year-round in the whale watching industry and Brett has been running tours since 1997, winning numerous awards and maintaining a #1 Trip Advisor ranking since 2007. Brett has been heavily involved in many aspects of the business including marketing, web design, social media, networking, boat maintenance, office operations, staffing, reservations, and other. With a fine arts background, Brett also brings a creative element in thinking outside the box about tourism in the region. Born and raised in Vancouver, Janet's background is in business. She now owns and operates a growing business in the Cowichan Valley, Merridale Ciderworks. Merridale is a destination focusing on cider and distillery production with a bistro, bakery, and boutique store on the farm property. 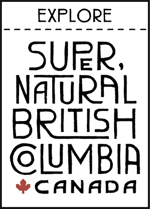 Products are sold only in B.C. Janet believes that Merridale's success is best achieved by promoting the growth of the community as a whole and then distinguishing Merridale within it. To this end, Janet has been a director or involved with numerous marketing and tourism associations on the island and B.C., and assists with many festivals, events and fundraising efforts year-round. Currently, she sits on the board of Tourism Vancouver Island, marketing committee of Tourism Vancouver Island, finance committee of Destination Greater Victoria, Chair of WIVA (Wine Islands Vintners Association), and President of Tourism Cowichan Society. Her volunteer efforts have focused heavily on the food and beverage industry as well as the viability and sustainability of agriculture. Moira is the Regional Manager for South Vancouver Island with Coastal Community Credit Union, the largest Island-based Credit Union with more than $2.5 billion in assets, 24 branches and 17 insurance subsidiaries across Vancouver Island. Moira is an accomplished professional business manager with many years of progressive experience in the financial services industry. An active volunteer, Moira believes that by supporting the Communities where we live and work, we contribute to the health and vibrancy of our local economy. Having worked in Victoria and across Vancouver Island, Moira is keenly aware of the positive contribution that tourism makes to the economic development and vibrancy of Victoria and the whole of Vancouver Island. 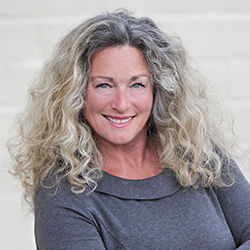 Moira is currently a board member of the Duncan Cowichan Chamber of Commerce; a member of the finance committee of the Greater Victoria Chamber of Commerce and is a member of the business development committee with Community Futures, Cowichan. Past volunteer experience includes housing societies, housing affordability partnership, BIA’s and Chambers of Commerce across the Island. 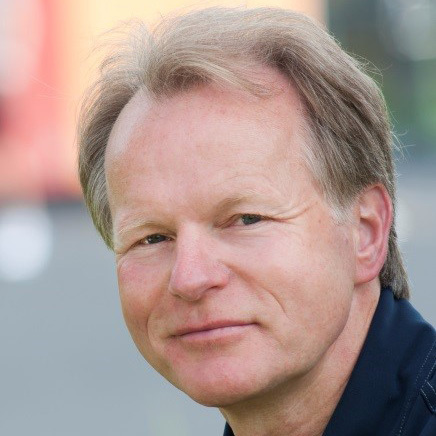 Currently the CEO for the Pacific Institute for Sport Excellence (PISE), the tennis analyst for Sportsnet and the Chair of the Canadian Tennis Hall of Fame, Robert has an extensive background in senior sport leadership in Canada. Previous roles also include the President and CEO of the Canadian Sport Centre Ontario and the Director of Tennis Development for Tennis Canada. As an athlete, Robert has won several national tennis titles and most recently won the Canadian Men’s Senior Singles titles in the 55+ category and was Captain of the National 55+ team representing Canada at the ITF Senior World Tennis Championships in 2014, finishing 11th in the world. He will also be competing in the World Tennis Championships in Germany in summer 2018. As a national coach Robert ran Tennis Canada’s first Western Canadian high performance training centre at UBC and helped coach the Davis Cup team and Canada’s tennis team at the Olympic Games in Seoul (1988) and Barcelona (1992). An on-going presenter on sport development topics he has a Masters in sport psychology and regularly provides mental training education on how to enhance performance. First elected in 2014 and re-elected in 2018, Jeremy is passionate about making Victoria more affordable, sustainable, and vibrant. He is drawn to local politics because of the concrete nature of the decisions that need to be made and a deep love for the City of Victoria. So far, he has found each day as a Councillor challenging and rewarding. He is driven by the belief that Victoria can be one of the greatest small cities in the world and that our residents have the ideas, drive, creativity, and passion to make it happen. Jeremy is action oriented and leads collaboratively. You can often find him riding his bicycle, working with youth, or meeting with residents in local coffee shops. Jeremy grew up in James Bay, currently resides in Fernwood, and holds a degree from Concordia University in Montreal. Judy is delighted to join the Board and brings experience as an entrepreneur both in operating a ski school in B.C. 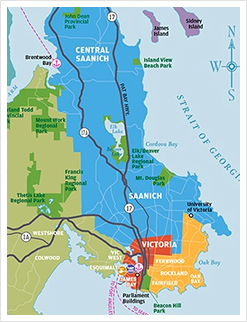 and in running a business centre and direct mail marketing company in the Greater Victoria region. She has been involved in public life in the region serving on Saanich Council and the Capital Regional District Board for more than 20 years, including involvement with the regional parks and the planning and transportation committees. Judy is a strong believer that the destination's natural outdoor opportunities are a draw for tourism that can make visitors want to come back for more, from cycling on trails both urban and rural to hiking places like Mount Doug in Saanich to exploring regional parks like East Sooke Park or swimming in the potholes.